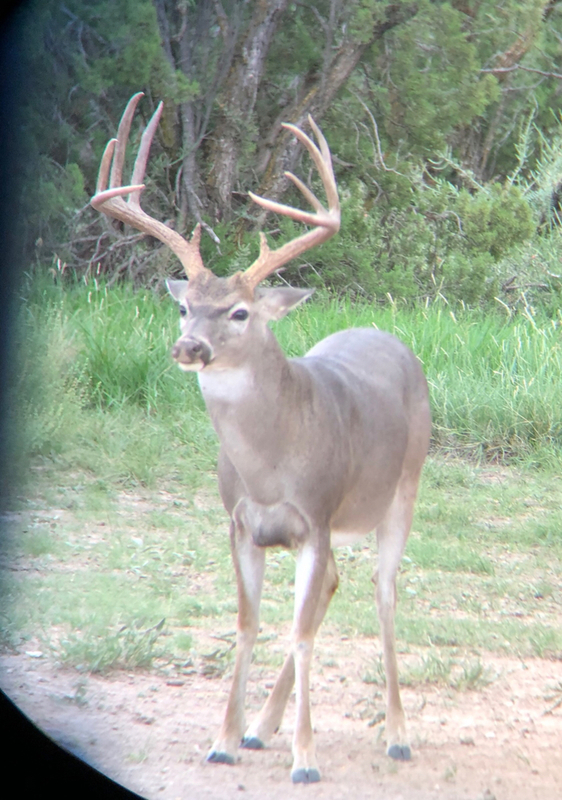 Just figured I’d throw a target buck out there to stir some conversation, hoping to possibly have the results Monday if everything falls into place but there’s no guarantees. Crabclaw is a real cool buck. I’m planning on being out at the lease this weekend. I’m hoping to see him in the back of your truck. Off history I’m guessing at least 7.5 on age. And I’ll go with 144” on score. He has some giant front hooves too. 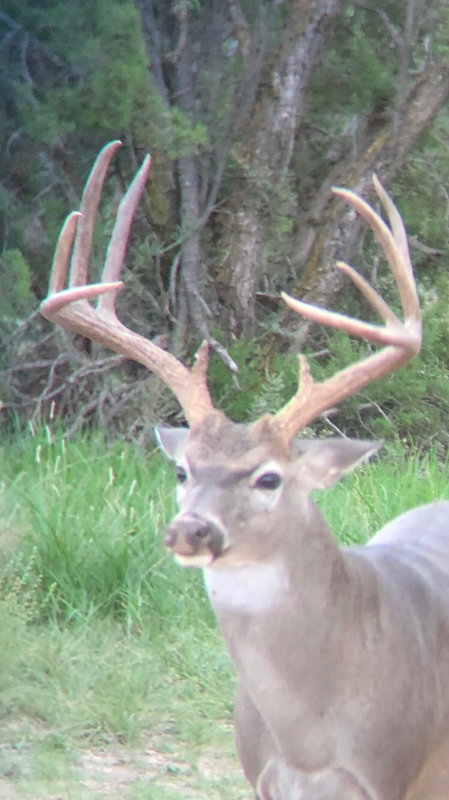 147"... 3" brows and he's a 150" deer IMO. That is a beautiful deer. 7.5+ and 146". 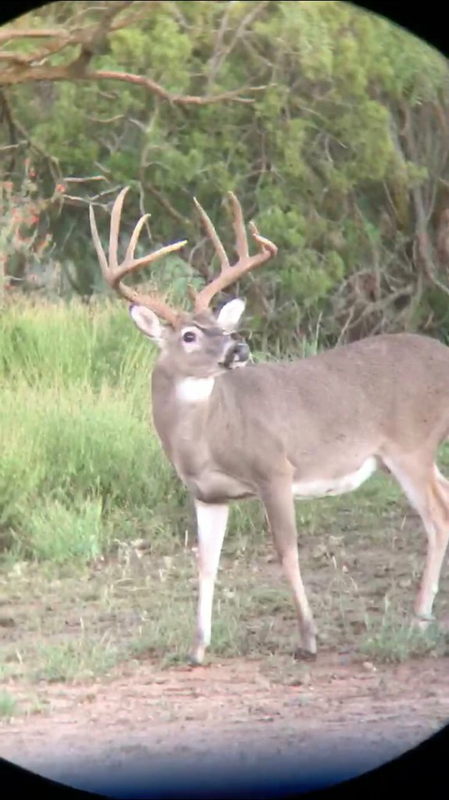 Very nice buck, good luck getting him! 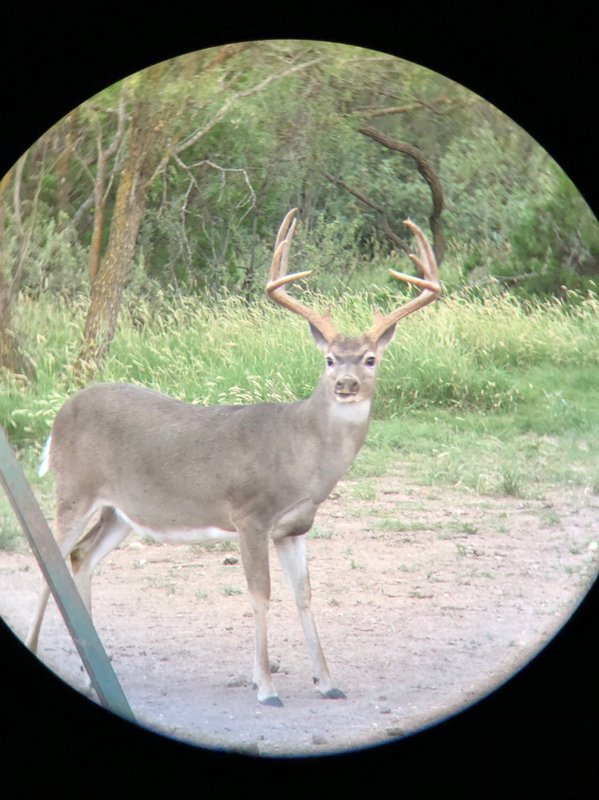 146”....... heck of a buck, Jack. Send pics if you get him. 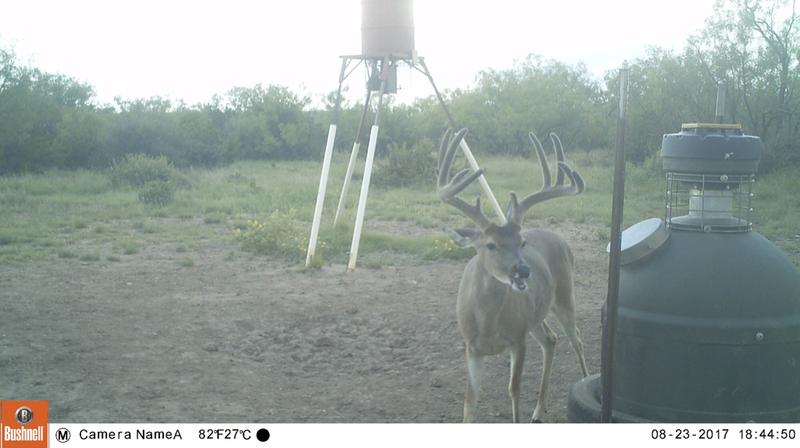 Just for reference but if this deer isn't 190-200# live weight I'd be really suprised, he's a tank. This is him last yr and hence the reason for BT to call him crab claw. He made a solid jump despite the drought conditions. It’s bye far his best rack to date. Brows are struggling, but man at the 3’s. He scaring 150” big time. Definitely old enough. I’m no help with the score, but good luck chasing him. He’s a stud! Nice buck Jack. Holler if you get him I’ll stop by I’ll be down there. Old enough and big enough Jack, get that sumbuck! Definitely mature. I m guessing low 150's. Definately a shooter. Good luck. If I had service at the stand I’d give a live hunt this weekend but it’s a no go so will just have to wait and see how it goes. I say for sure 7.5. Since his body is so big I'm going to say 149 7/8. I don't want you getting a big head so that's why I am shorting him 1/8 from 150. If he had better brows he'd be 150, I think. i have him at 6.5+ and 143"
I came up with 144" and he's definitely old enough. 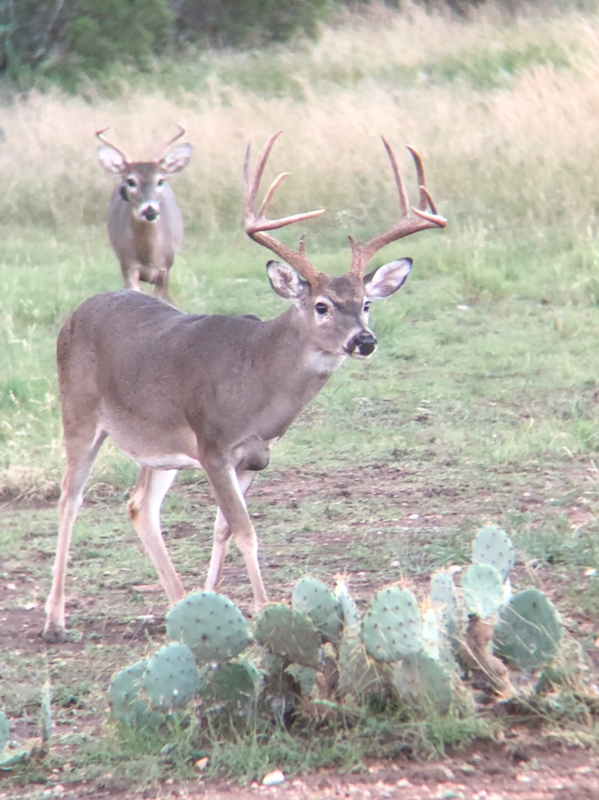 Oh come on Jack........don’t you know all of those deer on y’all’s place are only 3.5? I was going to say 5.5 but will now say 6.5 based on your pics from last year. I'm guessing 145"-148"
I’m going with 150. 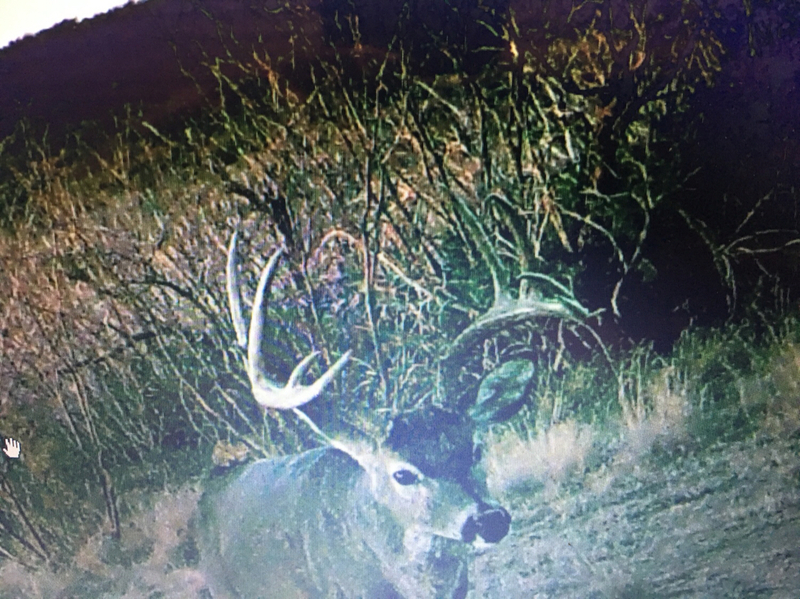 Great buck and good luck! Last edited by KingsX; 10-18-2018 at 12:38 PM. Where you sitting so I can drive by honking Saturday morning! I’ll send you Jack’s coordinates! After the video I think I over shot it. 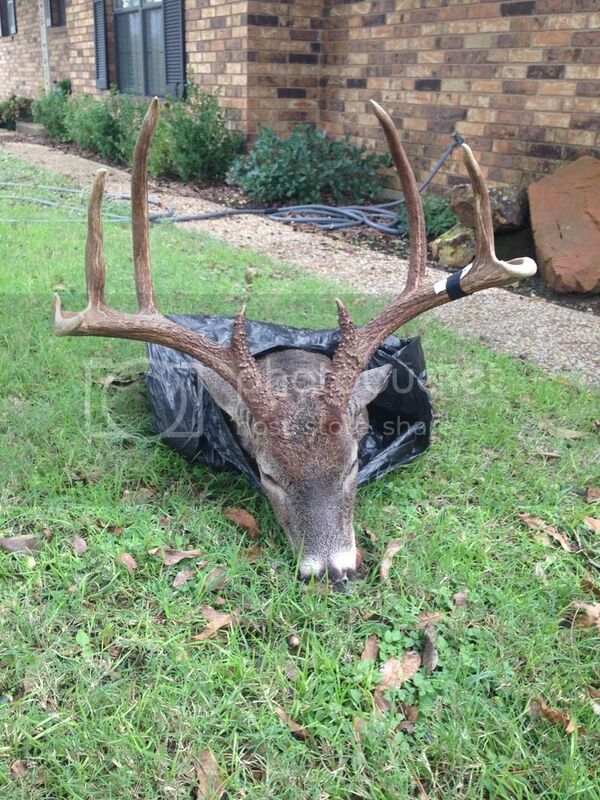 I think he's going to be 142" - 145". Mass puts him right at 150. Good luck,Jack! Keep me posted on how it goes. I won’t be around this weekend unfortunately.